A large scale performance for 1.5 million bats, conch shell ensemble, megaphone choir, and handmade echolocation devices. Made in collaboration with students from Austin Soundwaves. New works for ensembles of 80 carhorns, bicycles, pedicabs, and automobiles. Performed in a parking lot and made in collaboration with Austin Soundwaves and many local artists. Drone Music is a project that creates choreographed performances for a fleet of flying drones, robot percussion, and humans, incorporating themes of surveillance, short wave radio, AI, espionage, sacred ritual, pageantry, and patriotism using Musique concrète, 1 bit audio, minimalism, closely tuned sine waves, and samples of sirens, bugs, and Sousa marches. 12 trombonists, arranged around a body of water, are cued by nautical flags from a boat in the lake. Performed at dusk and dawn. Composed by R. Murray Shafer. Performed in coordination with the LED light display of the James Turrell Skyspace. For trombones, didgeridoos, and sine waves. Presented by the Crystal Bridges Museum of American Art. Presented by the Blanton Museum of Art. 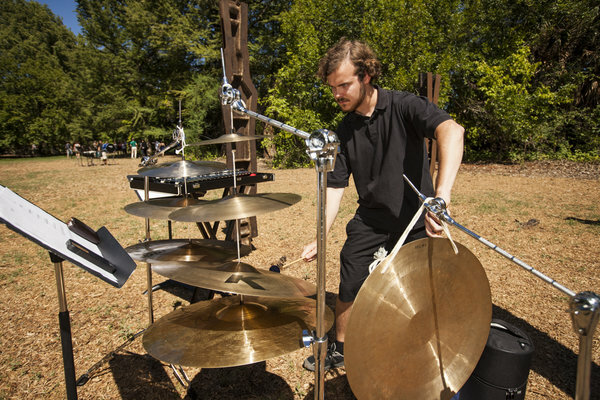 Inuksuit -- the Inuit word meaning "in the capacity of the human" -- is a work for 99 percussionists performed outdoors. Featuring students and professionals from throughout central Texas. 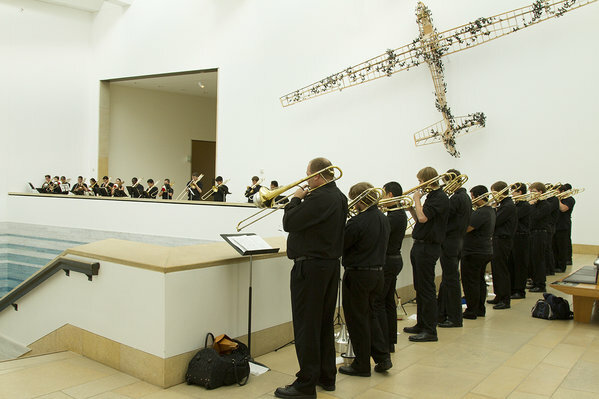 A hybrid-arts performance series at the Blanton Museum of Art of simultaneous performances throughout the museum's galleries. Featuring a cross section of Austin's community of musicians, dancers, and performance artists. Winner of the Austin Critics' Table Award and featured at SXSW. SoundSpace is generously underwritten by Mike Chesser. The Tubascope is a sculpture that works likes a telescope for your ears. Modeled after obsolete WWII acoustic locators, the Tubascope is made from reclaimed and repurposed brass instruments that have been augmented with tubing and headphones. When used, the Tubascope helps a person focus their listening on specific, far away sounds that may have otherwise gone unnoticed. 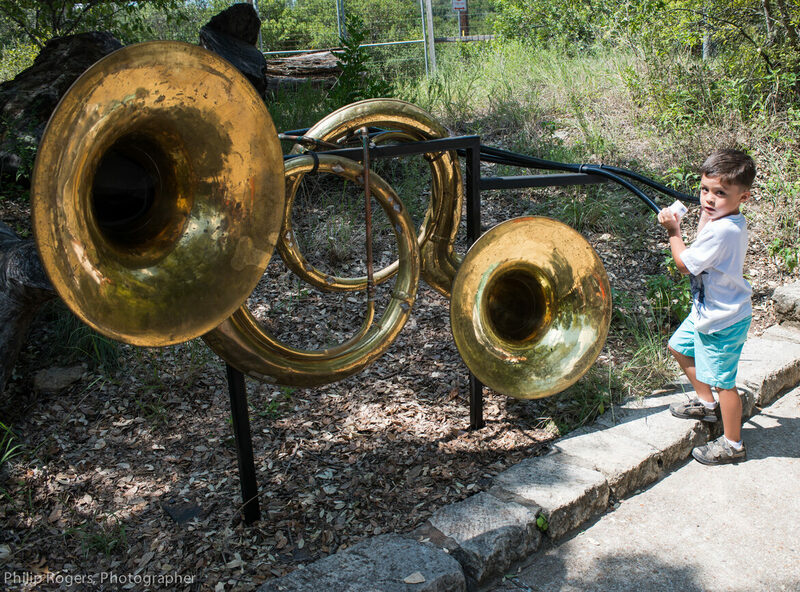 Installed at the Austin Science and Nature Center with a published brochure of listening games for kids (think Pauline Oliveros meets Shel Silverstein). 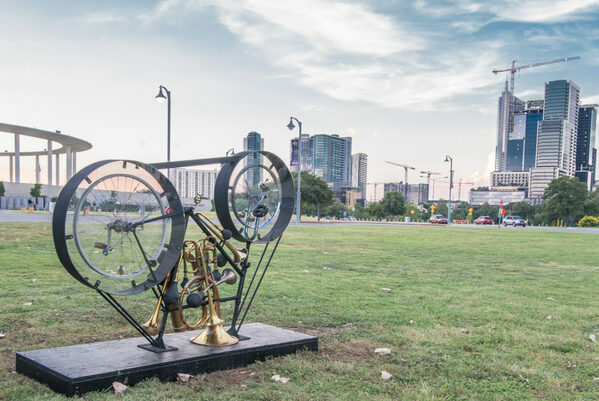 LO FI CYCLE is an playable musical instrument sculpture made from a bicycle. LO FI CYCLE is a tribute to Marcel Duchamp’s Readymades, John Cage’s prepared piano work, and Frank Zappa’s famous performance on bike on the Steve Allen Show. 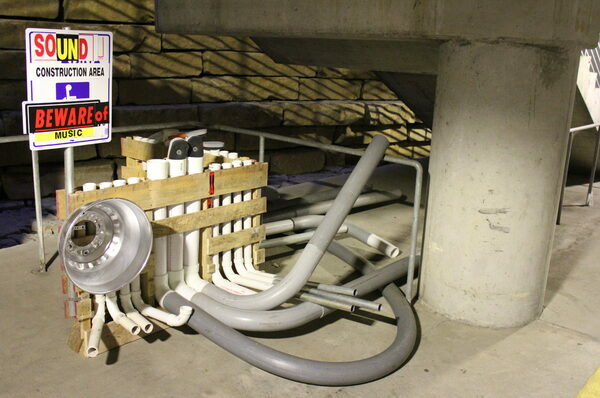 Public instrument sculptures made from reclaimed materials installed in the Austin City Hall parking garage. Made in collaboration with Austin SoundWaves, an after school program that offers free music instruction to underserved youth, and artists Jebney Lewis and Travis Weller. Presented by the Fusebox Festival. 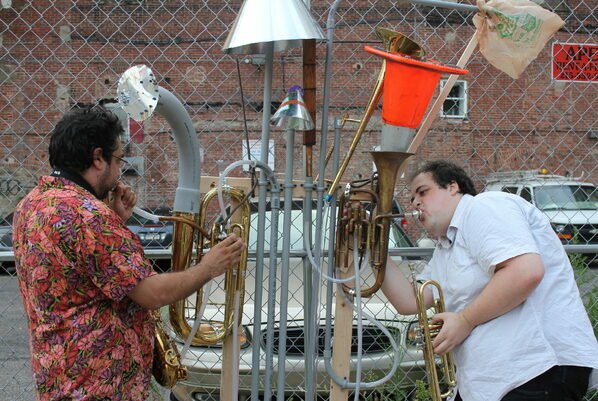 Musical instrument sculptures, installed in unexpected public places in Philadelphia's Chinatown North neighborhood. Presented by the Asian Arts Initiative. Work for 80 trombones, organ, and sopranino. 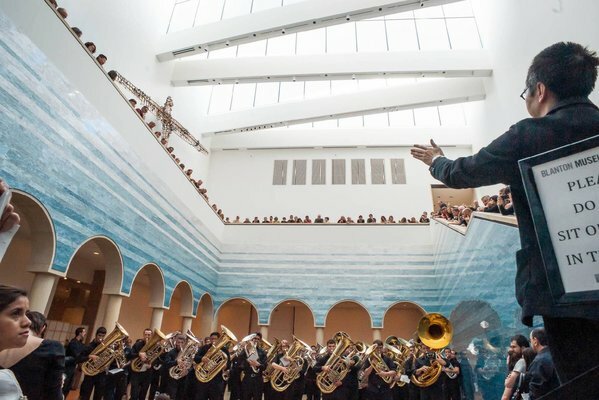 Performed in the atrium of the Blanton Museum of Art by student, amateur, and professional trombonists from across Texas.